It’s is the last day of the kids clothes week challenge until next season. 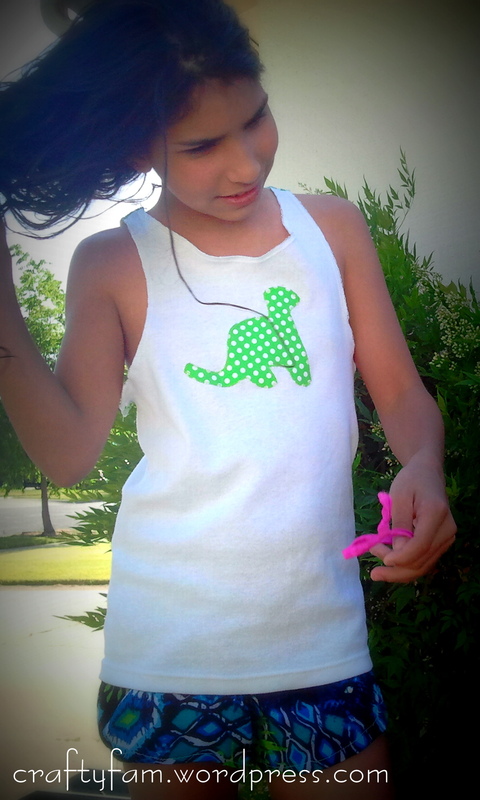 So this last one is a Dinosaur tank top with a twisted back. Just in time too, the temperature hit 90° and climbing to 100° within the week. The shorts are the first pair of short my younger daughter made all by herself yesterday and today. So proud of her. She’s a sewing machine right now. Tutorial will come later. 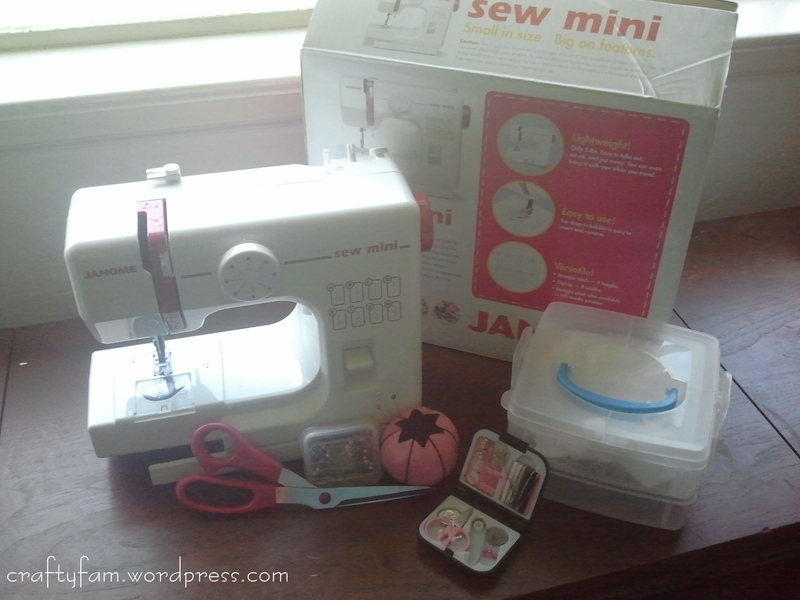 My daughter has a sewing machine that she got from her aunt a few years back. Lately it hasn’t been working well for her. I happen to go to my local fabric store and they had a sale on sewing machines. I decided to surprised my girls with it all set up and ready to use after school. 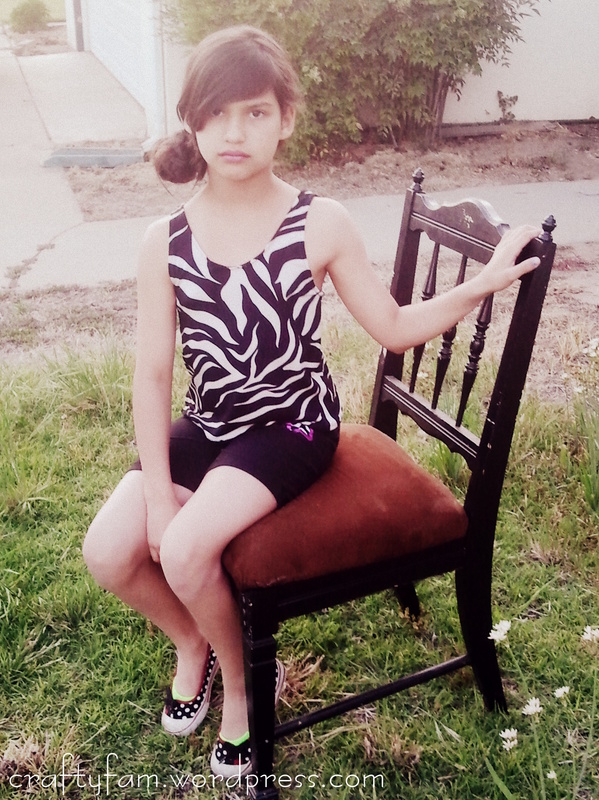 When I got home from work she requested that I teach her to sew the shorts that I was going to make her today. So today I made a pattern for her, and helped to trace the pattern onto her fabric and sew it together on her new sewing machine. 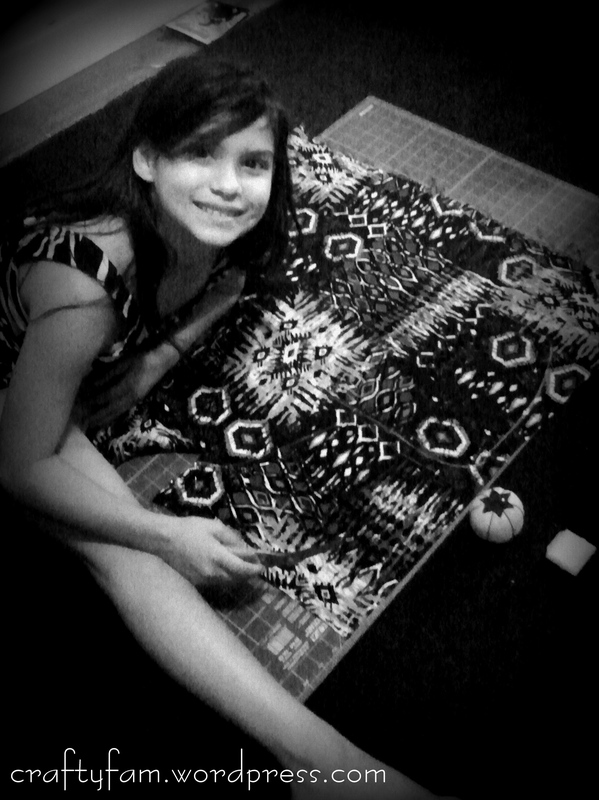 She was so excited she was tell her sister that she wanted to make her something. She also said “Mom why aren’t you an artist?” he-he gotta love looking through kids eyes. 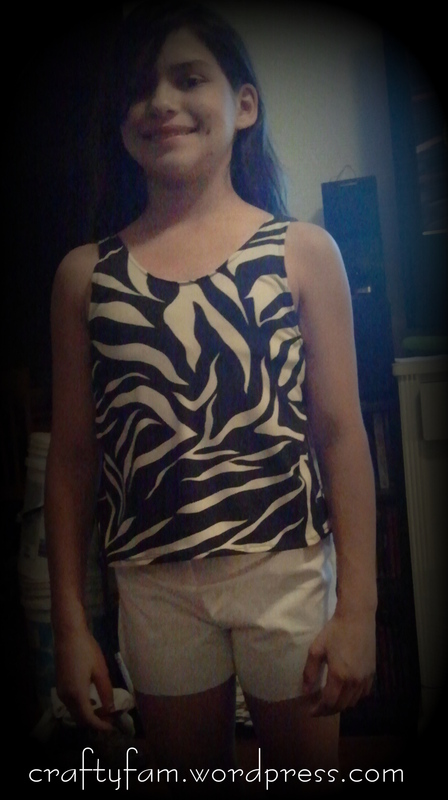 My daughter designed this lace up tank top and picked out the fabric. I merely made the pattern and sewed it for her. The lacing opinions can be ribbon, leather, suede, or the fabric material. The shorts I didn’t make, just happen to match. Tutorial will be coming soon. Yay Day 5 complete!